Prison authorities at Maghaberry prison have confirmed that a lockdown is being imposed on the republican wings amid a mounting crisis at the jail. Dublin officials have been issuing contradictory statements over how they might fund the operations of the 26-County state next year, while threatening the wages of the state’s lowest paid workers. Members of the police and government officials who contributed to the murder of human rights lawyer Rosemary Nelson are still working in the Six-County establishment, it has been claimed. Sinn Fein’s Niall O Donnghaile became the youngest ever mayor of Belfast on Thursday night. The Pat Finucane Centre, a Derry-based human rights group, has protested against recent television interviews with the man most held responsible for the Bloody Sunday massacre. A sectarian lynch mob, with some wearing Rangers tops, have hanged an effigy of Celtic soccer club manager Neil Lennon from a lamp-post in Antrim. The ‘Dublin Lockdown of 2011’ didn’t go unnoticed by that city’s citizens, but was notable for how casually it was imposed. The Sinn Fein mayor of Cashel created controversy on Friday when he became the first member of his party to shake the hand of a British monarch. The introduction of a change to the regime for conforming republican prisoners at Maghaberry jail has led to a series of violent assaults on the prisoners by warders, according to reports from inside the jail. Mystery surrounds an attack in Derry city centre on Saturday, in which a small device exploded inside a bank. Those thought to have been involved in the murder of a Catholic cafe owner in 1987 were never questioned by RUC (now PSNI) police, despite being identified by a witness, it has emerged. Around 400 people took part in a commemoration march on Saturday to mark the 30th anniversary of the death of Derry hunger striker Patsy O’Hara. Now that the Windsor visit is over, what are the benefits and what exactly has changed as a result? 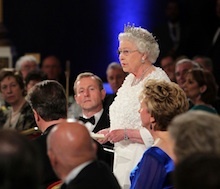 The visit by the Queen of England to this part of Ireland has to be seen as part of a journey. US president Barack Obama is addressing huge crowds of people at College Green in Dublin this evening. 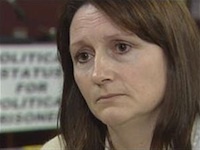 The report of a public inquiry has claimed that British state agencies did not directly collude with loyalists who assassinated high-profile human rights lawyer Rosemary Nelson in Lurgan 1999. 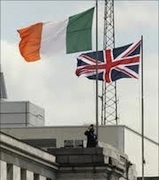 The state visit of Elizabeth Windsor to the 26-County state came to an absurd anti-climax on Wednesday night when the British monarch admitted England’s relations with Ireland have “not been entirely benign”. 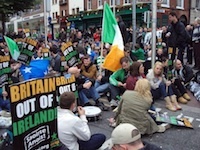 The 32 County Sovereignty committee has said “close on twenty” of its members were arrested last [Thursday] night as they assembled in Dublin to protest against the British royal visit. 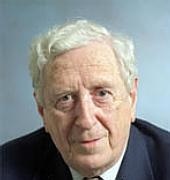 The death has taken place of former Taoiseach, Garret FitzGerald. The former Fine Gael leader died on Thursday morning in Dublin, aged 85, following a short illness. A coroner investigating the killings of two IRA men shot dead by soldiers more than 20 years ago must examine the “planning and control of the operation” that led to the deaths, senior judges have ruled. Sinn Fein’s Paul Maskey is to stand in the Westminster by-election next month for the West Belfast seat left vacant by Gerry Adams. This coming Monday, May 23, President Barack Obama and First Lady Michelle Obama will arrive in Ireland for an official state visit, the highlight of which is likely to be a stop in the tiny village of Moneygall. 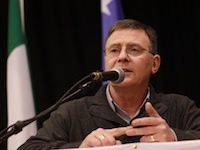 The text of an oration delivered by eirigi chairperson Breandan Mac Cionnaith at a commemoration for Jim Lynagh and Padraig McKearney on 15 May 2011 at Drumfurrer, County Monaghan. I'm not a man readily given to exclamation marks but WHAT A GUSHFEST! Hundreds of rioters clashed with gardai police for almost three hours following the visit of the British queen to the Garden of Rememberance in Dublin city centre yesterday, throwing fireworks, glass bottles and bricks. A convoy of armoured vehicles today shepherded British monarch Elizabeth Windsor through the empty streets of Dublin city centre in the first and most controversial day of a hugely expensive and oppressive ‘royal visit’. The British government and the Stormont establishment have been accused of using totalitarian tactics following the effective internment yesterday [Monday] of veteran republican Marian Price. Bereaved families and survivors of the Dublin and Monaghan bombings have written an open letter to Elizabeth Windsor to mark her arrival in Ireland on the 37th anniversary of the atrocities. After decades of campaigning by the family of Belfast defence lawyer Pat Finucane, they are to be told within weeks that a full inquiry into his murder will go ahead, according to reports at the weekend. The North’s police ombudsman is to investigate after republicans were challenged by men wielding machine guns in a terror operation involving more than 80 police and 10 armoured vehicles last week. 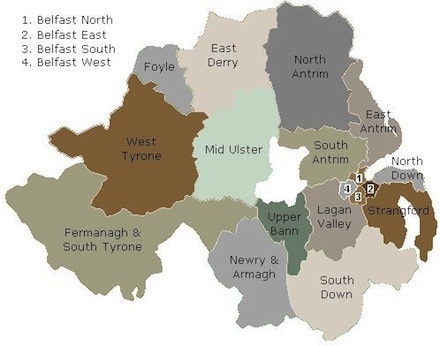 The political parties at Stormont appointed a new Six-County Executive today [Monday], with Sinn Fein surprisingly dropping its entire Executive team, with the exception of its Deputy First Minister, Martin McGuinness. Two contrasting republican approaches and views on the Windsor visit to the 26-County state. The first leader of the Provisional IRA, Billy McKee, has strongly criticised the current Sinn Fein leadership in an open letter. Prominent dissident republican Marian Price has been summarily jailed by the British government following her rearrest at a Derry courtroom today. Veteran republican Marian Price has been arrested by the PSNI. 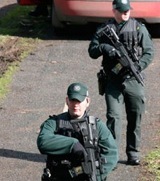 She was arrested in west Belfast today and taken to Antrim interrogation centre. Sinn Féin has struck a deal with the DUP to share the post of Stormont Assembly speaker following last Thursday’s elections. 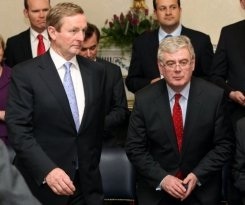 26-County Taoiseach Enda Kenny has been accused of not standing up for Irish interests following secretive emergency meetings of the European Union. A number of miscarriage of justice victims in the north of Ireland are to receive compensation following a landmark Supreme Court ruling in the case of two men whose convictions were overturned. 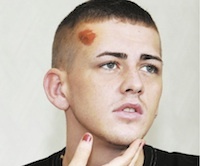 A young Catholic man was knocked unconscious in a random sectarian attack on Monday as a gang of twenty loyalists kicked and punched him. A leading dissident republican movement has said a vote on an all-Ireland basis on the question of Irish unity and national sovereignty could help bring an end to the conflict in Ireland. The results of Thursday's Assembly election in the Six Counties, as well as a list of the Sinn Fein and republican candidates elected to local district councils. 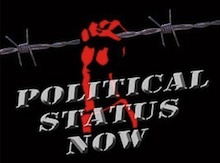 The following statement was issued at the weekend by the prisoners engaged in protest at Maghaberry jail. The balance of power at Belfast City Council has shifted, with Sinn Fein leapfrogging the DUP to become the largest party. Almost two-thirds of council posts in the Six Counties have been declared so far this evening. 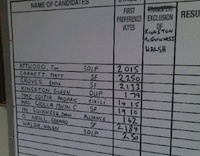 Electoral woes have continued for the Ulster Unionist Party in the local elections in the North. Final results in the Assembly election has confirmed power flowing from the smaller parties to the larger parties at Stormont, with both Sinn Fein and the DUP consolidating their positions at the expense of their nationalist and unionist rivals, the SDLP and UUP respectively. 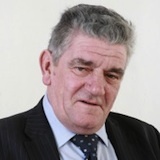 The embattled leader of the Ulster Unionist Party, Tom Elliott, described Sinn Fein as “scum” after the party won three seats in the Fermanagh/South Tyrone constituency. 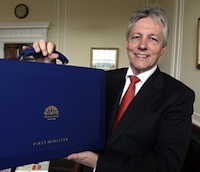 The electoral system in the North has been branded a “laughing stock” by a leading academic, while the last speaker of the Stormont assembly has branded it a “disgrace”. Sinn Fein and the DUP are still polling strongly as counting draws to a close on the first day of the election results in the north of Ireland. n the first results in the Assembly election, Sinn Fein are making gains or holding their own as the long delayed numbers start to come in. Scotland is on course to secure independence by 2016 after a near-revolutionary transformation in British politics today. The dominant feature of the Six-County Assembly election, which is being counted today, is the sharp drop in turnout, although Sinn Fein are upbeat that they can increase their representation at Stormont. The Scottish Nationalist Party (SNP) could be on course for a historic victory in the Scottish parliament in Edinburgh, wiping the board in constituencies across that country. 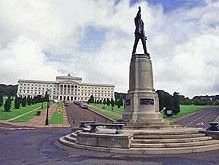 Elections are underway in the North today [Thursday], where Sinn Féin is hoping to become the biggest party in the Belfast Assembly. Palestinians said they had turned the page on division at a ceremony in Egypt to heal a four-year rift between the Fatah movement and the more militant group Hamas. Concerns over the high level of teenage suicide in west and north Belfast have reached a new level following a series of deaths in the past few months. Members of Sinn Fein clashed with members of the National Graves Association outside a county Tyrone church on Easter Sunday weekend. The coalition government in London of David Cameron’s Tories and Nick Clegg’s Liberal Democrats is under strain following a Tory ‘black propoganda’ campaign to discredit the Alternative Vote system prior to today’s referendum in Britain. Six Members of the Legislative Assembly (MLAs) will be elected in each of the 18 constituencies in the Six Counties. A brief summary of the constituencies and candidates for this year’s Assembly election. 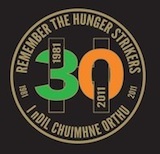 Today is the 30th anniversary of the heroic death of Irish patriot Bobby Sands on hunger-strike at Long Kesh prison. In his solemn memory, we publish a brief collection of quotes, some famous, some less well known. Over a period of seven months nine other men followed Bobby, dying on a hunger strike that Thatcher described as “the IRA’s last card”. How wrong she was.